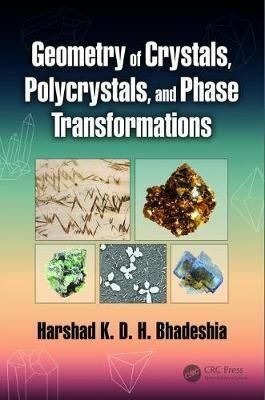 Organized into a two-part structure aimed at readers of differing experience levels, Geometry of Crystals, Polycrystals, and Phase Transformations is accessible to both newcomers and advanced researchers within the field of crystallography. The first part of the text covers what any reader in the material sciences, physics, chemistry, earth sciences and natural sciences in general should know about crystallography. It is intentionally concise and covers sufficient material to form a firm foundation. The second part is aimed at researchers and discusses phase transformations, deformations, and interface crystallography in depth. The phase transformations are limited to those dominated by crystallography. The entire book contains worked examples and uniquely deals not just with crystals but aggregates of crystals and solid-state transformations between crystals.